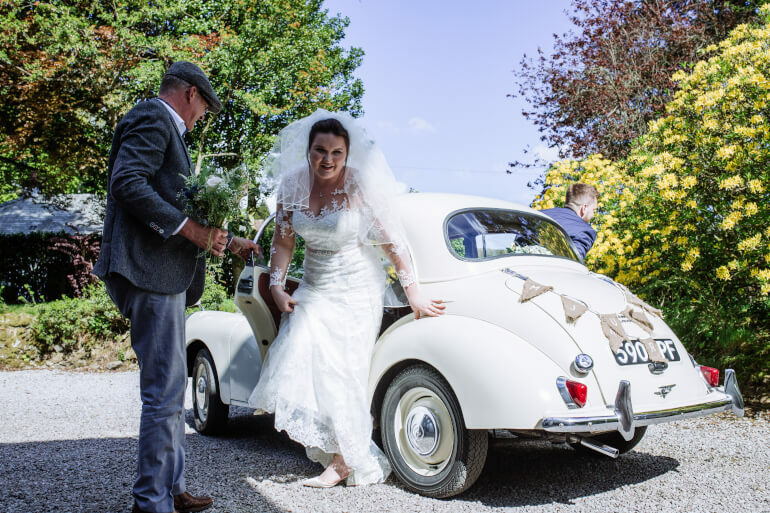 If you are looking for wedding car hire in Dumfries & Galloway then look no further. 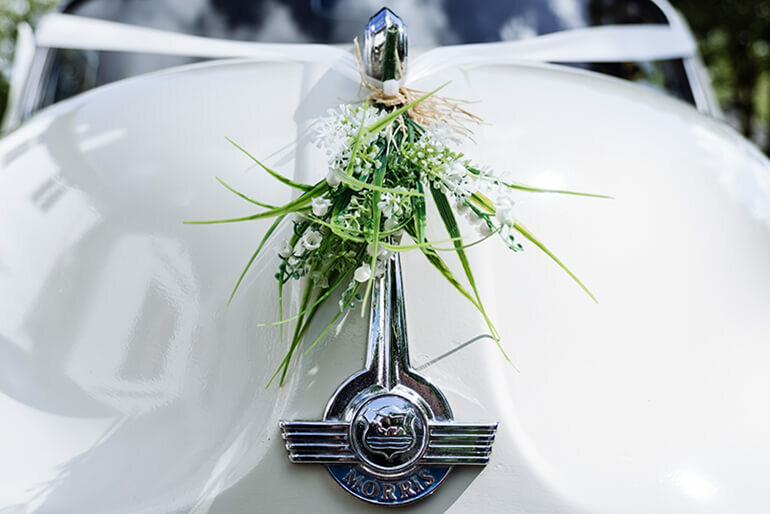 Our wedding cars are meticulously maintained and come dressed with ribbons and flowers to make your day extra special. Choose between our popular Deluxe Chauffeur Package and Self-drive. 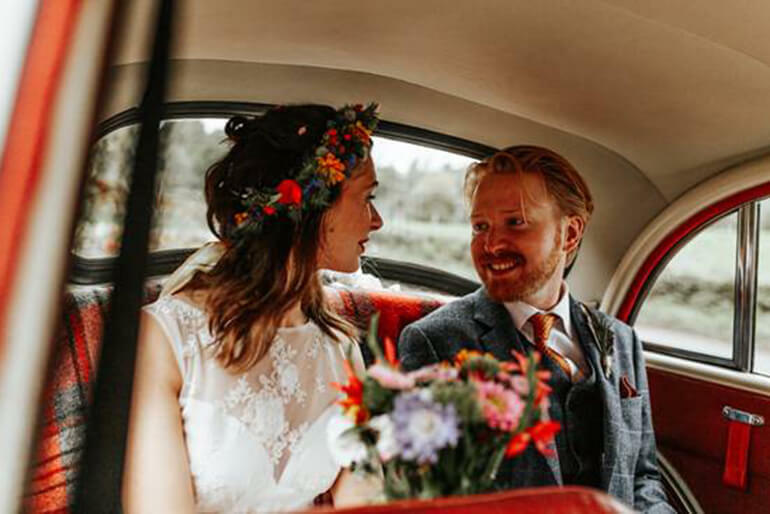 And for those looking for something different, how about a memorable honeymoon on the open road in Daisy, our pale yellow 1973 VW campervan. Tissues, shoe polish, wipes, mirror, sewing kit, white umbrella and mineral water – just in case! As an alternative to the traditional chauffeur package, you can hire one or both of the cars on a self-drive basis for the whole day or more. 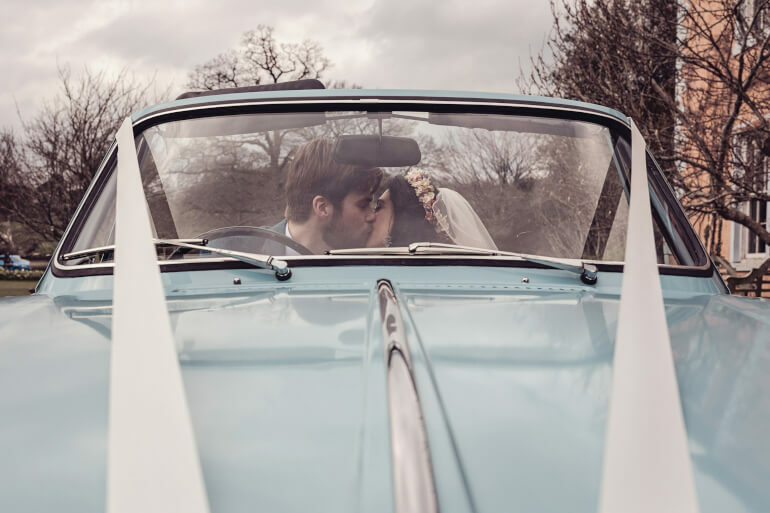 A family member, friend or even the wedding couple can have the opportunity to drive a classic car! This offers a more flexible and economical option. 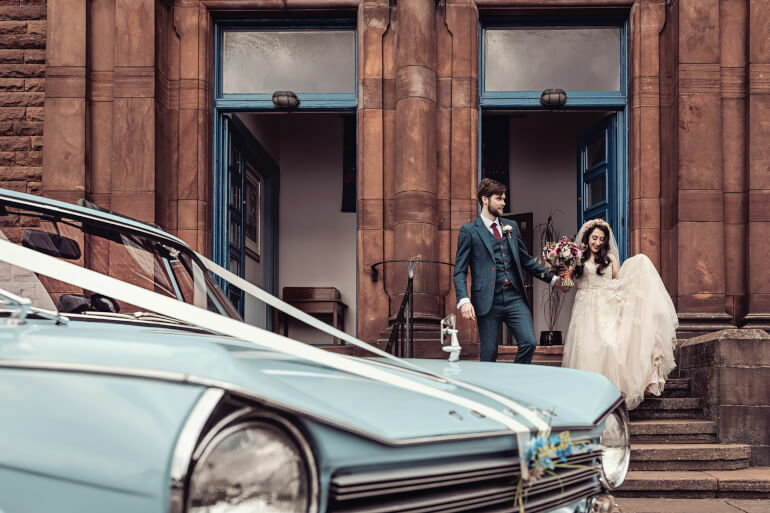 View the classic car options here and add £15 to the usual day rate for our Self-Drive Wedding Package. 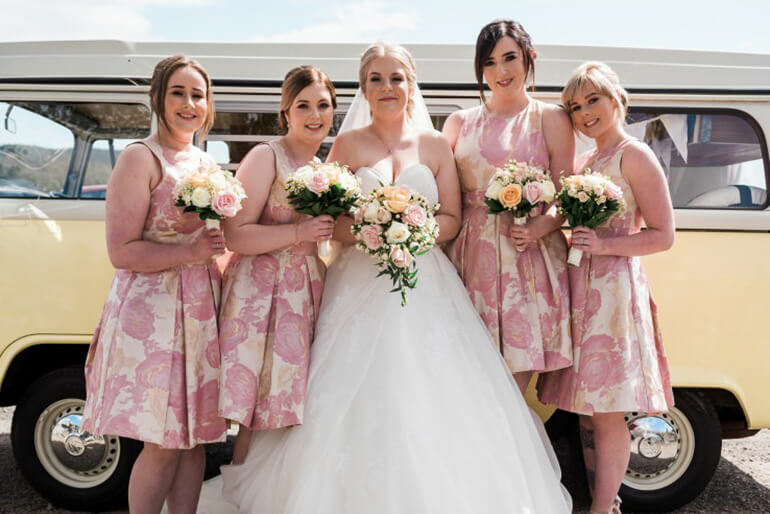 This includes ivory satin wedding ribbon (fixed or pre-fixed); and hire of floral decorations, “Just Married” bunting and large white umbrella. 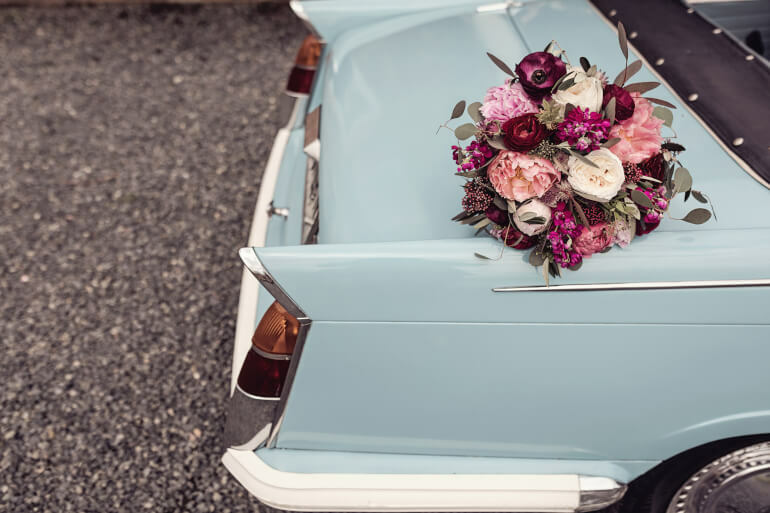 What area do you cover for wedding car hire? We cover the whole of Dumfries and Galloway and have also travelled to Edinburgh, Glasgow, the Borders and Cumbria. We may be able to travel further – please contact us to discuss your requirements. 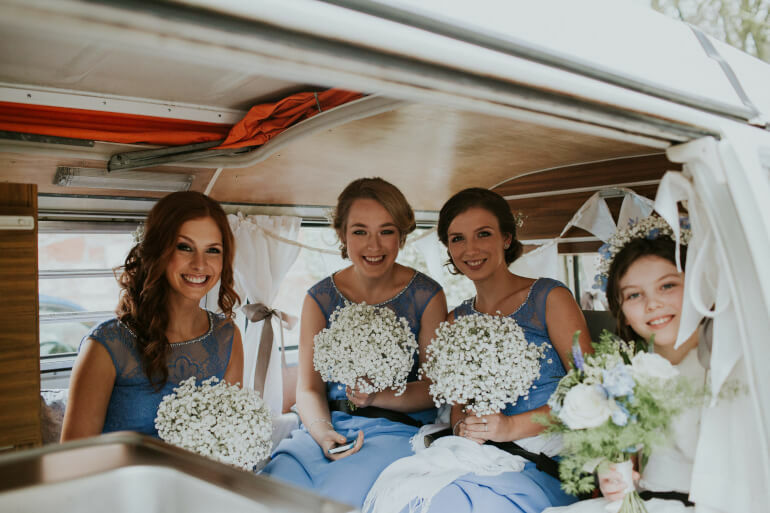 Are vehicles available as wedding cars year round? 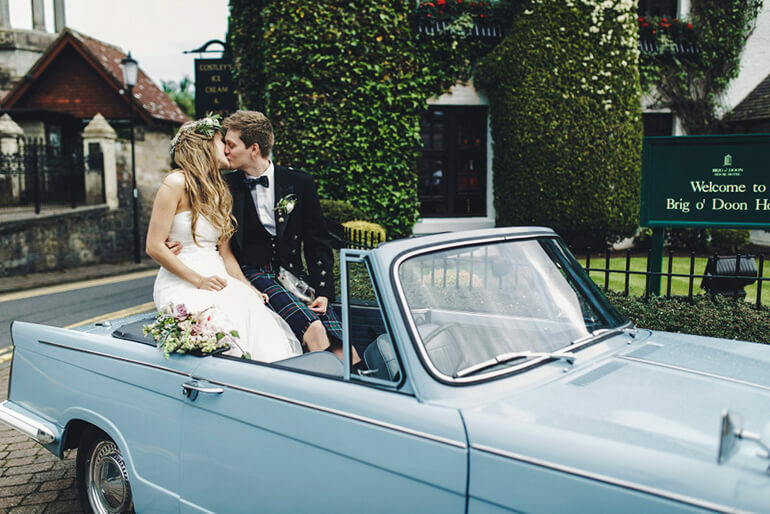 The Triumph Herald and Morris Minor are available for weddings most of the year. 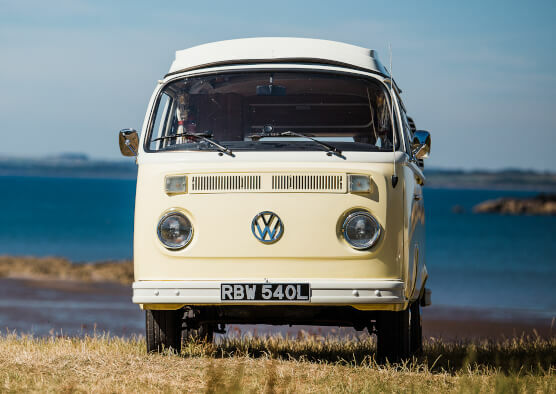 The VW Campervan is available between October and March. How many passengers do the vehicles seat? The Triumph Herald and Morris Minor both take three passengers, including one in the front. However, please bear in mind these cars are not as spacious as larger cars. The VW Campervan takes a total of five passengers, including one in the front. All seats have modern seatbelts. Everyone commented on how beautiful the car was. We loved driving along the country lanes, it really made our day. 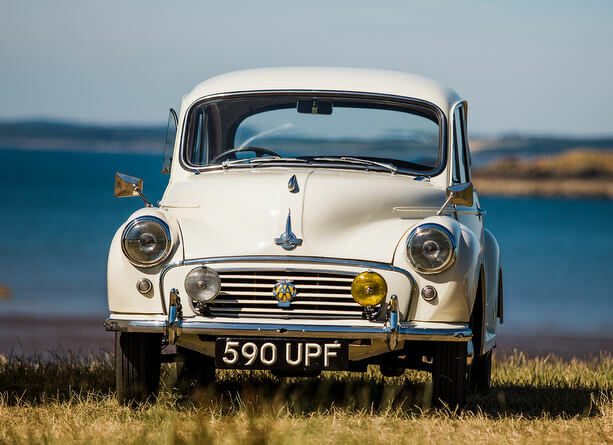 We have Snowdrop, a Morris Minor who is full of charm with original features and a gorgeous burgundy leather interior. 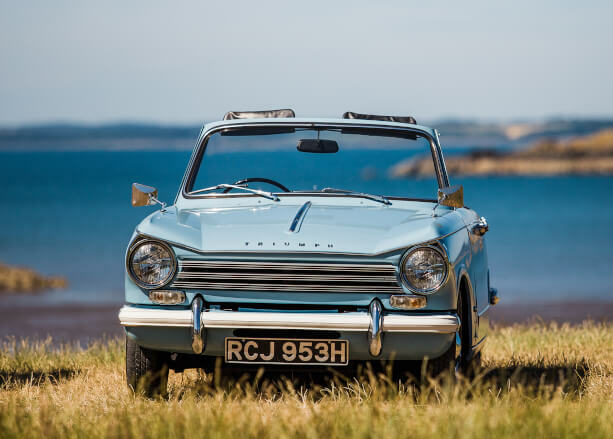 We also have Bluebelle, a lovingly restored Triumph Herald convertible who has starred in many a TV program and music video. 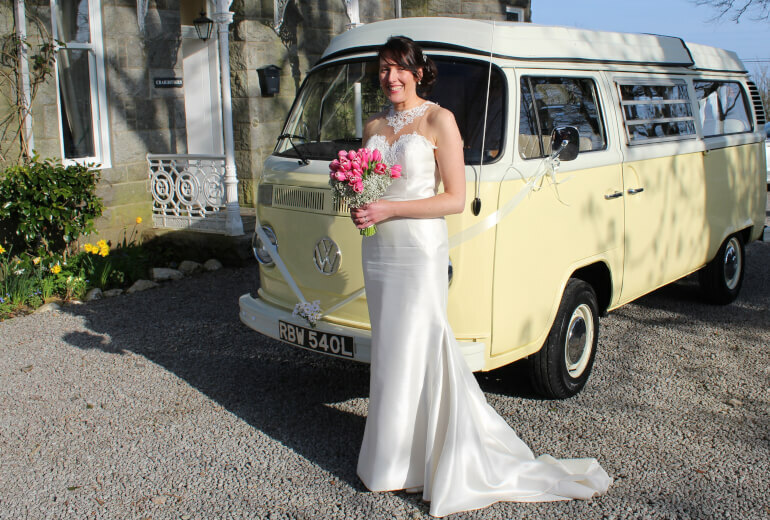 And campervan Daisy with her classic hippy vibe and the unmistakable sound and feel of her VW air cooled engine. Daisy is available for weddings October to March.